You'll be £19.99 closer to your next £10.00 credit when you purchase A Soldier for Napoleon. What's this? 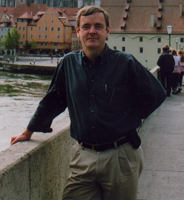 The letters and diaries of Lieutenant Franz Joseph Hausmann are here placed in the context of the military events of the period by renowned historian John Gill. They stem from Hausmann’s first campaign in 1805 in the war against Austria, followed by the 1806 and 1807 campaigns in Prussia and Poland. In 1809 he was in action against the Tyrolean insurrection and he also fought at Abensberg and Zniam. He was only twenty-three when he embarked on the ill-fated 1812 invasion of Russia and served as part of the Bavarian corps that was shattered in this cataclysmic campaign. He survived to describe the 1813 campaign and the 1814 campaign in France when the Bavarians switched sides and fought against Napoleon. 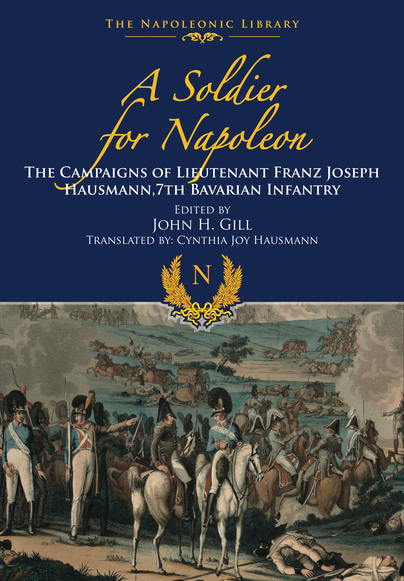 With additional commentary by John Gill on the Bavarian Army and its campaigns and battles, this book is an important, authoritative addition to the works on the Napoleonic Wars. ill-fated 1812 invasion of Russia. The author was 23 at the time of the campaign, serving within Napoleon’s Grande Armee with the VI Bavarian Corps commanded by Marshal St. Cyr and which suffered heavy casualties. Hausmann survived however and went on to serve in the campaign of 1813 and then in 1814, when the Bavarians changed sides and fought against Napoleon. The writer’s letters describe the hardships and danger of the various campaigns, also shedding light on just what life was like for the ordinary serving soldier. The editor’s comments serve to place this first-hand account within the wider context of the time, making the book a valuable addition to the Napoleonic bookshelf. There are seven appendices, covering such topics as Battles and Engagements, The Bavarian Infantry Regiment and Bavarian Orders of Battle. Also included are 21 monochrome illustrations, seven maps, a bibliography and an index. This is a detailed and very personal view of his life in the army during the Napoleonic wars and does makes for some fascinating reading for anyone interested in the Napoleonic period. This book is a necessary read for anyone who wants to know what life was like for the common soldier of the period and what motivated them to do so much in the name of the Emperor.